I drowned that cookie in a martini! Just another excuse for me to enjoy my favorite cookie of all time, my Mom's Gingersnaps! 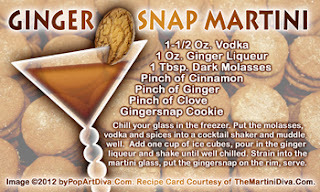 Now, snap to and enjoy Gingersnap Day!